Service Stars is a full-service, family-owned company that provides a wide range of home services to ensure your family's comfort and safety. Whether you need heating, air conditioning, plumbing, or electrical services, we can help. Our company is composed of highly trained and professional technicians, plumbers, and specialists who are all passionate about helping our customers with their various needs. With over four decades of combined experience, we have become the trusted name when it comes to superior and affordable home service solutions to countless residents in Danbury, Fairfield County, and Southern Litchfield County. Jeremy decided to branch out of the new-construction side of the family run business and founded a residential electrical service company. This company was called Power Up, and as the company grew, Darryl joined the Power Up team. The Power Up Electrical business was later consolidated into Service Stars. Kyle was working in the HVAC industry since 1999 and in 2009 he decided to start an HVAC home service company called 24 Hour. This business eventually was consolidated into Service Stars. The idea for a complete home service company was hatched. As three brothers, we already operated an HVAC & electrical home service company under different business names. It was at this point that we consolidated our business under one roof. This is also when we decided to add plumbing to our services (although this didn't work out as planned). Until this time, Service Stars was operating out of a home basement/garage. We moved into our current location at 48 Pembroke Rd in the spring of 2013. It was a big step for us but was necessary to continue to grow. As a company, we struggled to find a solution to our plumbing needs. We had more and more plumbing demands coming in, but we failed to find a reliable plumber. In 2015, we decided to notify all current customers that we suspended all plumbing work until we found a plumber that could deliver the same level of service as our other departments. It wasn't an easy decision to suspend our plumbing services in 2015; it felt like taking a step backward. However, in 2018 we found an excellent opportunity to add an exceptional master plumber to our staff. With the addition of Eric to our team, we were able to offer plumbing services again and revamped our club membership to accommodate a whole-home service plan. We have seen much growth over the years but 2018 was ur highest grossing year. We achieved over $1,500,000 in residential sales! We couldn't have reached this level without the support from our clients. We appreciate you choosing us for your home service needs! 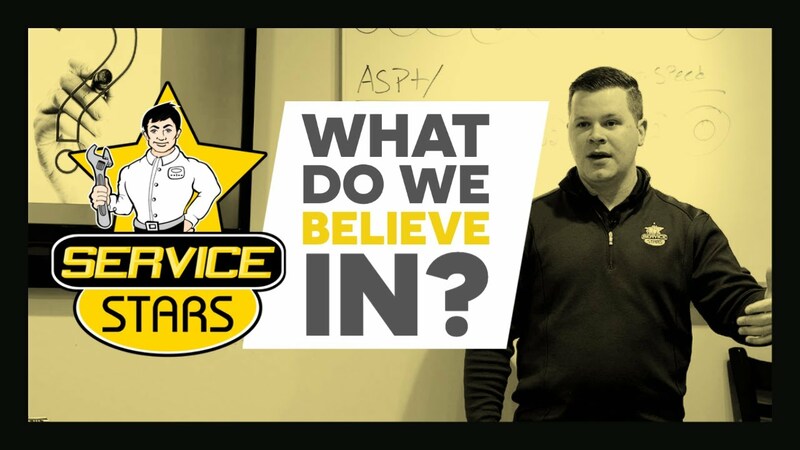 We are still as ambitious to grow Service Stars as we were on day 1. We are driven by the opportunity to bring better home service experiences to our community. We appreciate all of our current clients and look forward to servicing many more in the years to come!